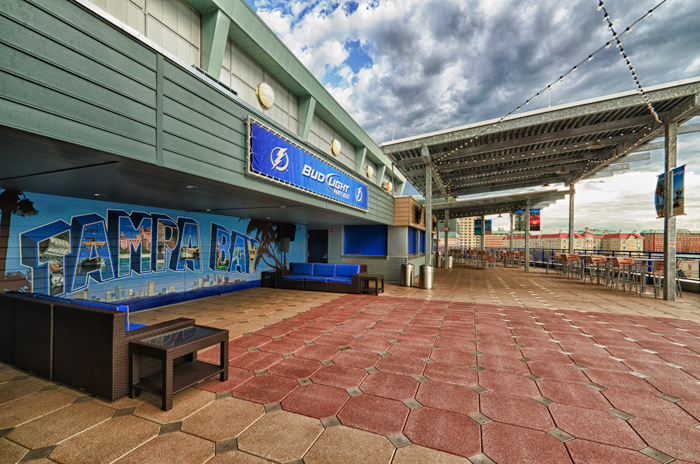 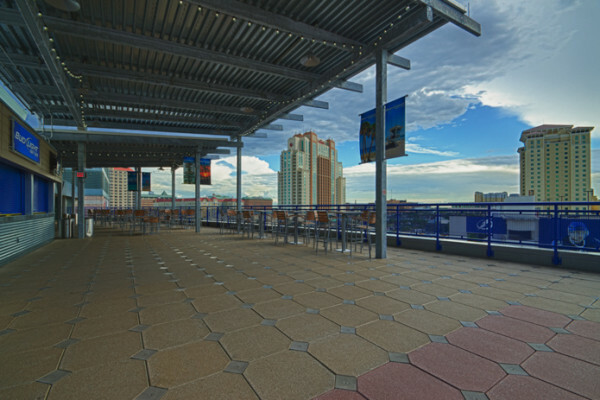 The Amalie Arena needed an eye-catching entrance and entertainment area for their fans, this proved to be a unique project, as the areas had to comply with wind uplift requirements. The entrance was not a problem, however, the “party deck” needed to meet the strict requirements. 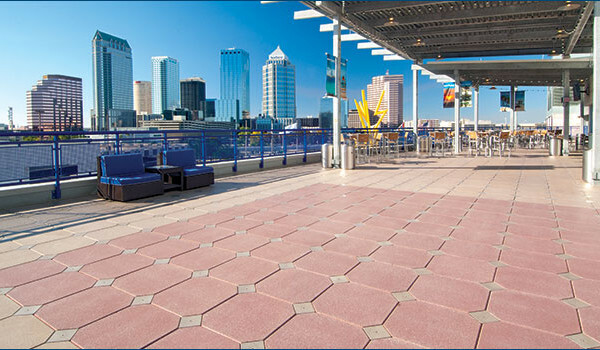 Hanover’s Guardian System was used to maximize the adverse effects of wind uplift. 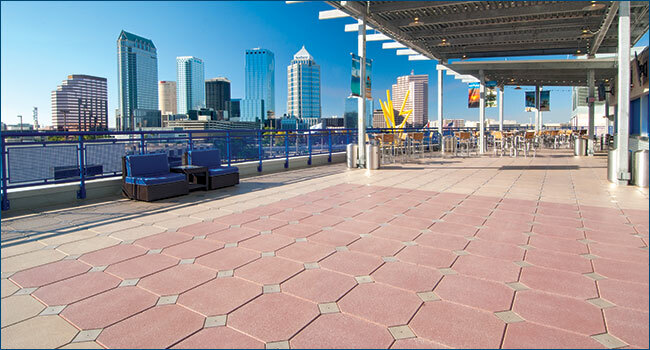 The Guardian plates lock the pavers together to create a single unit.